The Courtesan is a historical fiction novel set during the Qing dynasty, and the book follows Sai Jinhua’s life during the extraordinary twilight decades of this dynasty. This novel was inspired by the real-life courtesan Sai Jinhua, who to this day, is still considered a legend in China. 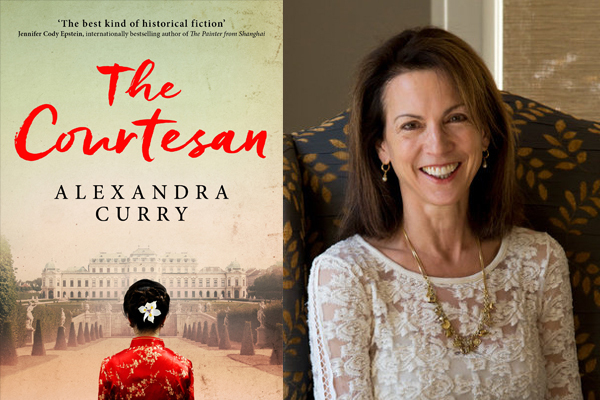 It’s hard to believe that this is a debut novel for Alexandra Curry – she has crafted a tale that takes the reader from the depths of the Chinese empire to the palaces of Vienna. In 1881, seven-year-old Jinhua is left an orphan, alone and unprotected after her mandarin father’s summary execution for the crime of speaking the truth. Jinhua is sold to a brothel-keeper and subjected to horrible torture at the hands of the men who visit her. She struggles to understand where her life is now headed, but she holds on to her father’s legacy to remain headstrong to survive. Soon after she is brought into the brothel, a troubled scholar takes Jinhua as his concubine (mistress) and she becomes enthralled in his tumultuous relationship with his first wife, who is extremely jealous of Jinhua. San Jinhua is a determined, strong character. 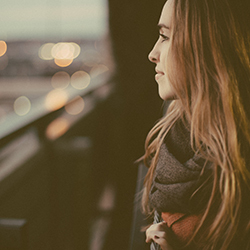 She’s smart enough to understand the world she inhabits, but confident enough to try and break the mould and adapt her life to suit her needs. She stays strong, even when she shouldn’t. She is able to reminisce on her bond with her father to get her through some rather tough circumstances, and even though this book can be quite distressing to read in some parts, it highlights a part of Chinese history that some may have since forgotten. The Courtesan is a raw, moving and inspired tale of loss, survival and determination. We follow Jinhua through her worst moments and watch her build herself up as a survivor amidst a large amount of death and defeat. There are particular scenes in the novel that Alexandra thankfully decided to skip over. We don’t have to read about the horrific, painful process of Jinhua’s feet being bound, only the lead up to it as the brother keeper prepares Jinhua for the process. Again, we don’t have to read too many detailed scenes of Jinhua’s sexual assaults, but we do read about her recovery and how each experience affects her afterwards. The Courtesan highlights the history of China’s relationship with the West and distills Jinhua’s journey of untold miles to discern what is real and what is abiding. I really love historical fiction and this novel didn’t disappoint. It’s masterfully crafted and exquisite in detail and description. I’d highly recommend this book to anyone who enjoys adult fiction or historical fiction.